Try your best to be in a room that doesn't have that much noise in it. 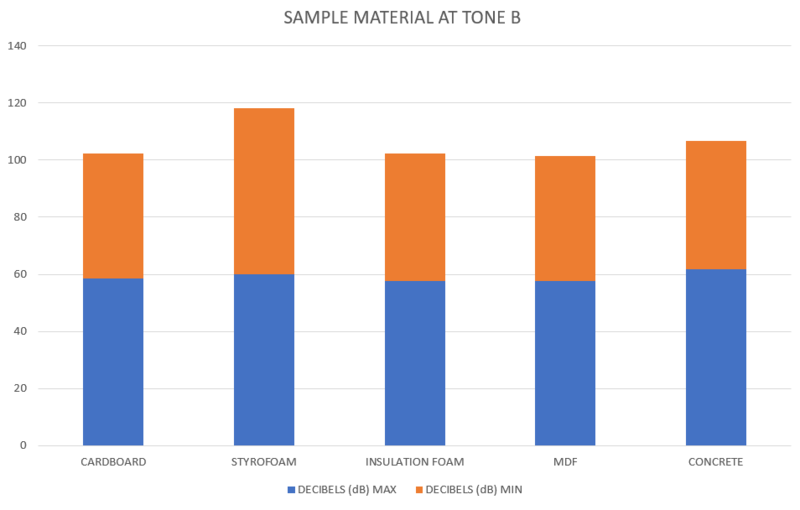 If there is noise just measure it with the 5-N-1 Multi-Function Reader so you can accurately account for any extra sounds that may be entering your sound proof box. 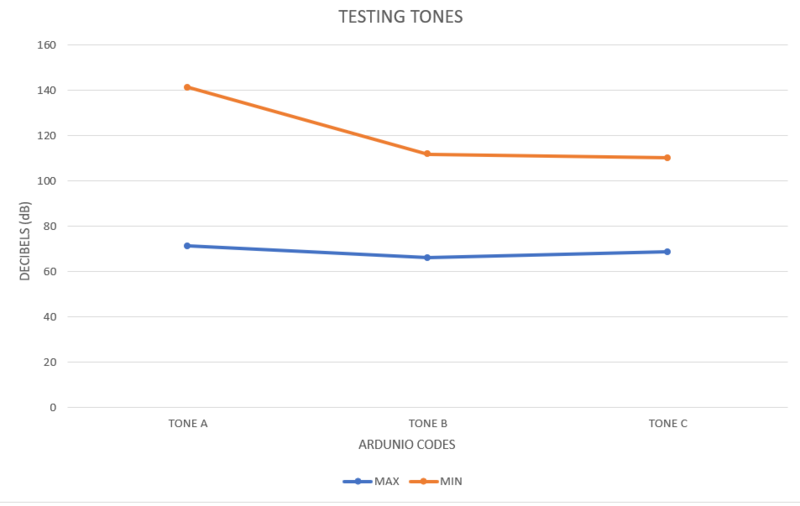 Once your constants and variables are recording its now time to test out the Arduino multiple tones code. 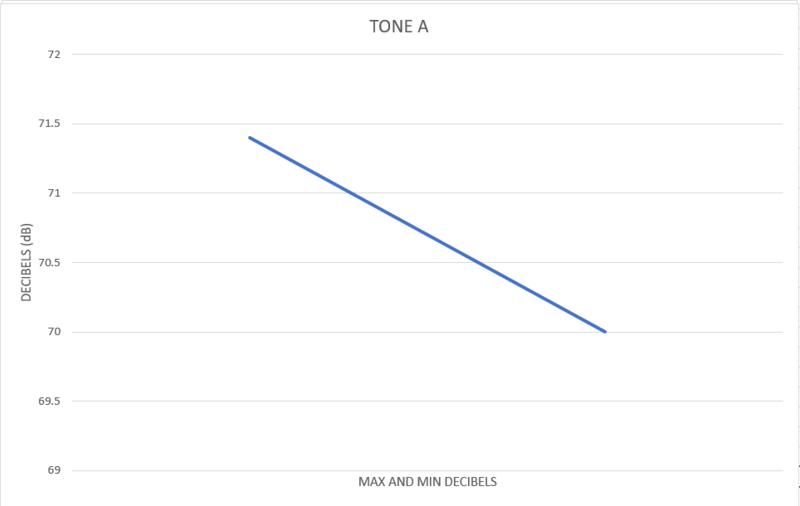 This data will be used as a variable that you will then compare your tested material to. After this step you want to test the quality of the room and your sound proofing box. During my second run of the experiment I went into a roam with an average of 46.6 dB. 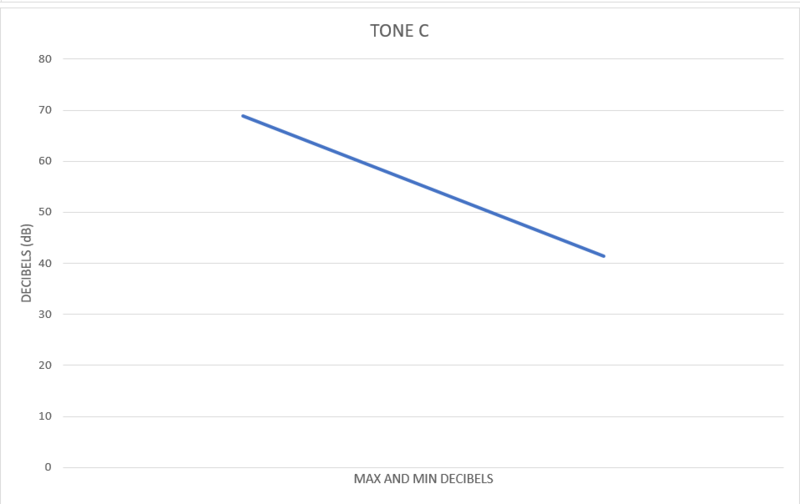 I tested every empty room I could find in Richardson Memorial and this room had the lowest decibel reading. 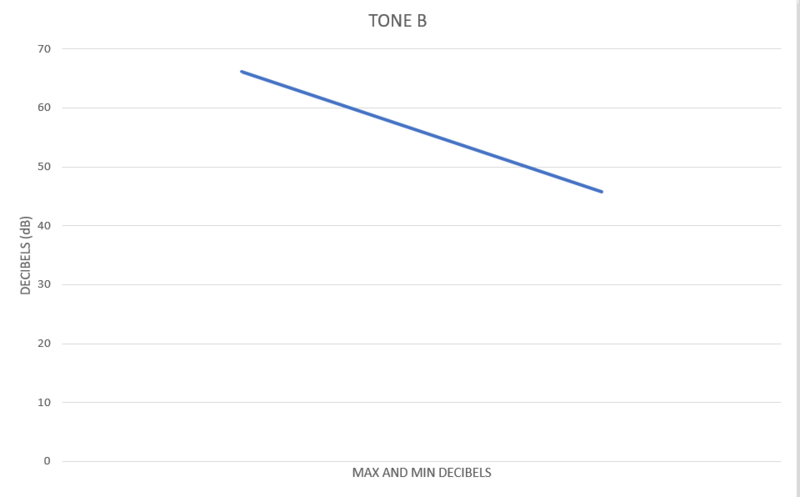 Finding a room with a minimum of 10 dB is difficult to find so a relatively quiet room will work. As long as the rooms decibels doesn't interact with the testing box to a level where your results will not be accurate. The tones where then tested inside of the empty testing box (LINED) so I have something to compare my tested materials absorbency qualities to. Once all of the constant and variables are recorded, proceed with testing each tone individually on each material. When experiment is repeated the testing material will be made larger to support itself, due to my question on the wooden holder. The testing room will be lower than a 20 dB if possible. 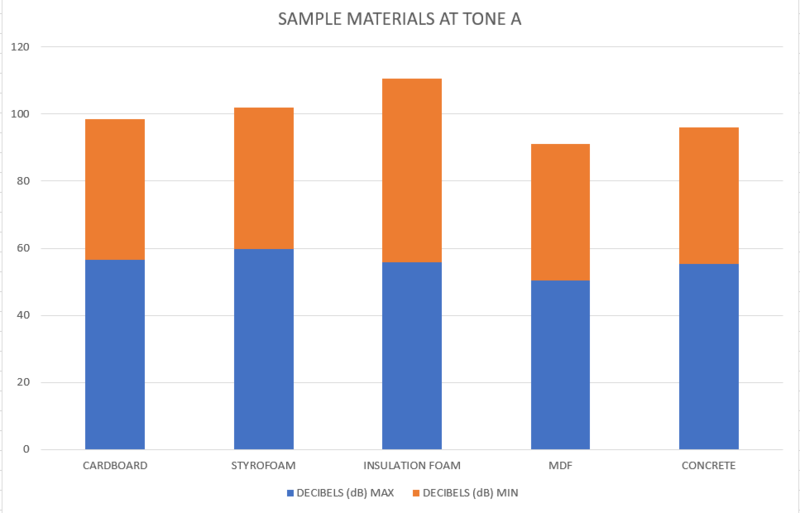 From my experiment MDF absorbs sound more efficiently than the other testing materials. Testing soft material absorbed the most sound waves because they have more space between the molecules as a result the sound waves are trapped in the soft material and is absorbed. Hard material reflect the soundwaves back to where the sound waves originated, because they can not penetrate the solid very easily so the sound waves bounce off the hard material. 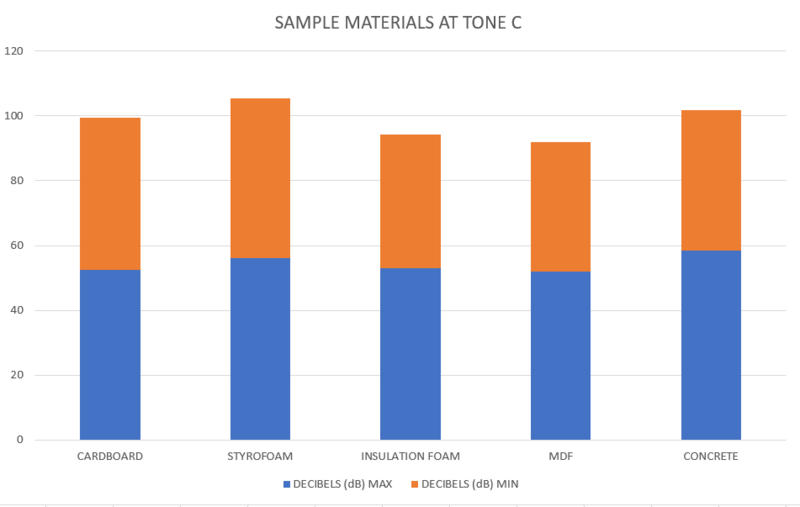 Even though I had other "soft material" when looking at the results MDF performed better as a sound proofing wall on its own. When this material is added to a complex wall assembly it will help reduce the amount of unwanted sound entering your home or business.